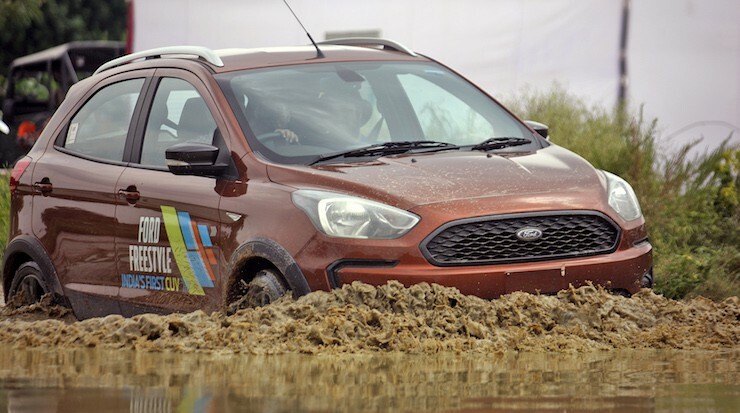 Launched in April 2018, the Freestyle is now the second largest-selling Ford in India and has been well accepted by consumers. Priced from Rs 5.1 lakh onwards, the Freestyle not only offers tremendous value for money, it comes across as a functional and practical cross-hatch as well. The Freestyle is more than just a hatchback on steroids and this is what we experienced recently during the #GoFreestyle event last Sunday. 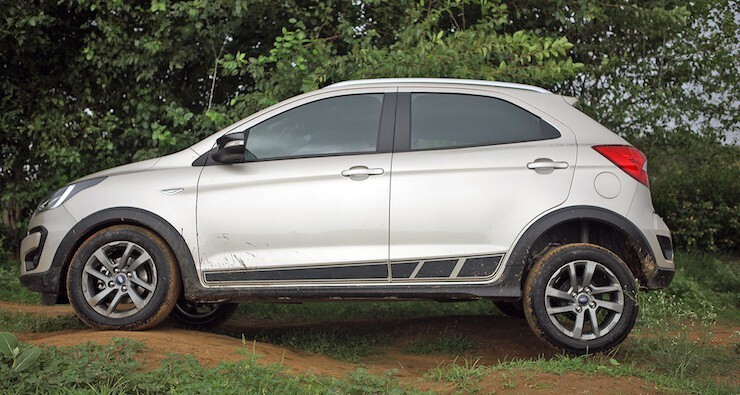 Riding on taller 15-inch wheels, the Ford Freestyle offers a lot of strong points as compared to its immediate competition or regular hatchbacks. 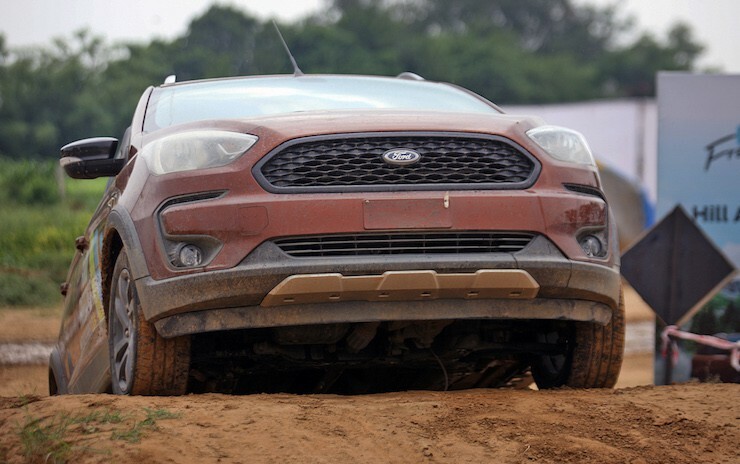 And these were the highlights at the event where the car had to be driven through no less than seven obstacles, first of which was made for testing the HLA or the hill-launch assist feature. This is not offered by any other car in the price band and I feel it should come handy during regular commutes as well, for instance, while crawling through rush hour traffic on a flyover. The second obstacle, though a bit tight, made us climb up steeply, making use of all that low-end torque on offer. The Freestyle has 190mm of ground clearance and even with a load of four passengers, the car did not touch down even once. Ditto for the third obstacle or the tyre catcher which was quite fun! We continue the drive ahead to the ‘chicken humps’ section which was a visual treat for photographers. With either of the rear wheels in the air, the Freestyle went about negotiating this obstacle with ease, thanks to the extended suspension articulation. The rock crawl section looked simple initially but I was wrong – the key was to go slow without spinning the wheels (to avoid any unwanted cuts) and it was best to let the Freestyle crawl ahead in the 1st cog with no accelerator inputs. It worked! We weren’t done yet and the 6th obstacle too impressed me. I had three more passengers on board and though the undulations looked deep, we came out without stalling the car or getting it stuck as you can see in the video above. The best was kept for the last – the slush pit. It had rained heavily the day before which meant this slush pit had water as deep as 15-20 inches at places and this wasn’t ordinary water, but slush that tends to stick to the tyre, making it harder for the engine to work. But nevertheless, we all loved driving here and came out without getting stuck even once (throughout the day mind you). The Freestyle is sold with both 1.2-litre petrol and 1.5-litre diesel motors. The former is part of the new Dragon series of engines and impresses when it comes to a punchy low-end, which is required for off-roading. The only feature we could not test was the ARP or the anti-roll over protection as the particular obstacle couldn’t be made, thanks to constant monsoon showers. That said, each one of us, including the customers, went back happy and impressed with this little cross-hatch, or compact utility vehicle (CUV) in Ford lingo!